LOCATION, LOCATION, LOCATION! 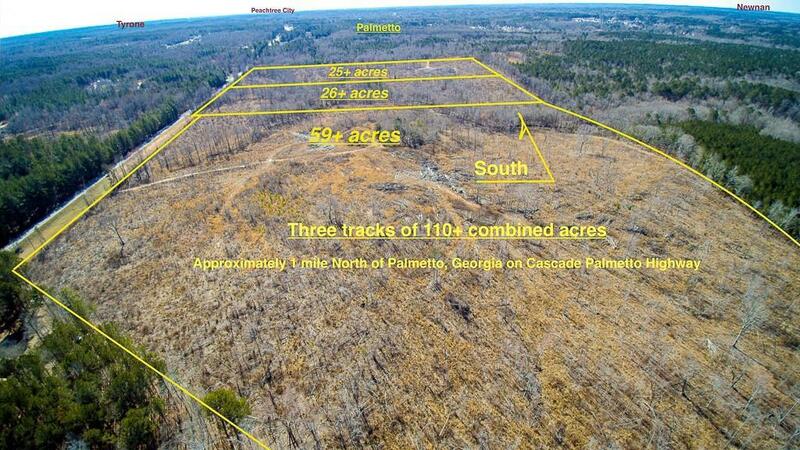 110+- Acres of Vacant land. 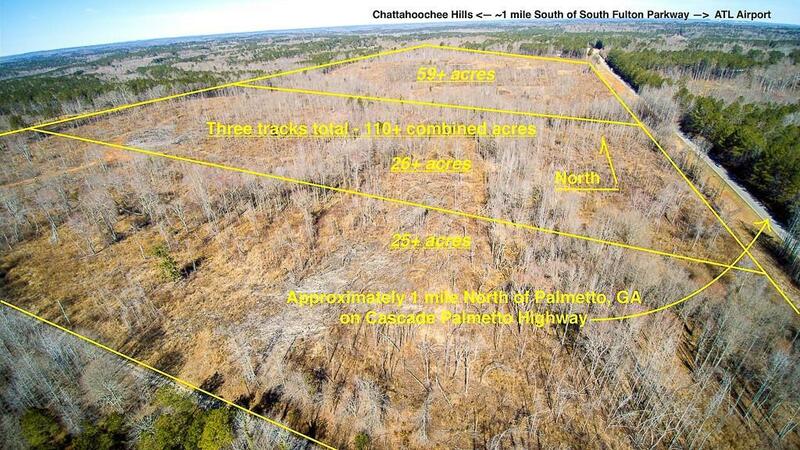 Amazing opportunity for Developers/ Builders or come and Build your dream home. Close to Airport and Serenbe. Less than 5 min to downtown Palmetto. Paved Road frontage on Cascade Palmetto Highway. Per Atlanta Watershed, public water runs to the property. Total of 3 Parcels. Parcel numbers are 07-310000700516 & 07-3100-00700524. Zoned R-1 - Low Density Residential. Listing provided courtesy of Coldwell Banker Bullard Realty.